Quirky Circuits is a cooperative game of robot programming silliness for two to four players. Each player contributes to the programming of an adorable robo-friend. But be warned – no one knows what commands the other players will be tossing in! Help the little robot complete its task before their battery runs out! With 24 scenarios of increasing intensity, Quirky Circuits is guaranteed to provide hours of brain-bending fun. It’s cooperative, it has programming, it’s a limited communication game, and it was designed by Nikki Valens. Yep, I definitely want to play Quirky Circuits! 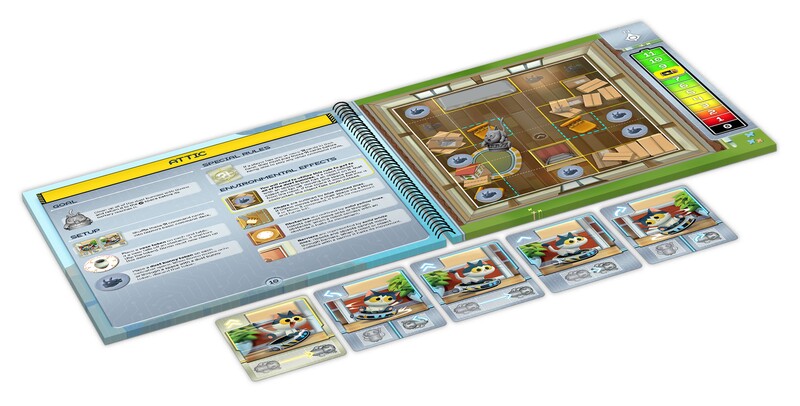 I’ve read through the Quirky Circuits rulebook (PDF) and it looks like this will be a solid family-weight game that does something a bit different with a couple mechanics that my group usually likes. 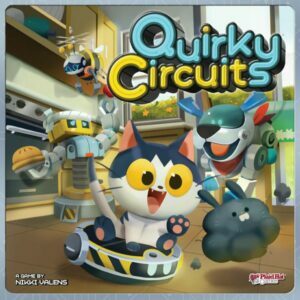 You can learn more about Quirky Circuits at Plaid Hat Games and its BGG page, and you can pre-order the game from CSI and Cardhaus. Remember to check back here soon to see our Quirky Circuits review! To stay updated on all things cooperative board games, follow us on Twitter, Facebook, or via RSS.